Yamaha held a special unveiling in Hollywood, California today to pull the wraps off this: the 2016 Yamaha XSR900 - a stunning version of their FZ-09 naked sport bike. While many will be eager to call this a hipster bike or cafe, I would say that the XSR900, like the Ducati Scrambler, is simply a stylish naked bike. Their is nothing hipster about exposed frame and motor, nor the power made by that 850 cc triple motor. But Yamaha haven’t just slapped a new tank and seat and called it a day. As the Japanese brand who’s taken the entire market by storm over the past few years by simply pushing more and better products (their sales are up 22% while the overall market is up 7%), they have continued the trend by giving the XSR900 selectable traction control and an assist/slipper clutch. The aluminum tank is hand buffed, and looks phenomenal in person, and additional aluminum pieces on the tail are a nice touch - though they do bring weight up to 430 pounds over the 415 pound FZ-09. Yamaha claimed that the suspension has been tuned specifically for this machine, which gives me some hope that they’re still working on the suspension issues I had with the FZ-09. The XSR900 will be available come Spring 2016, in both Matte Gray and 60th Anniversary Yellow (which also gets a badge, gold forks, and a special seat). Pricing won’t be announced until closer to the bike’s release. 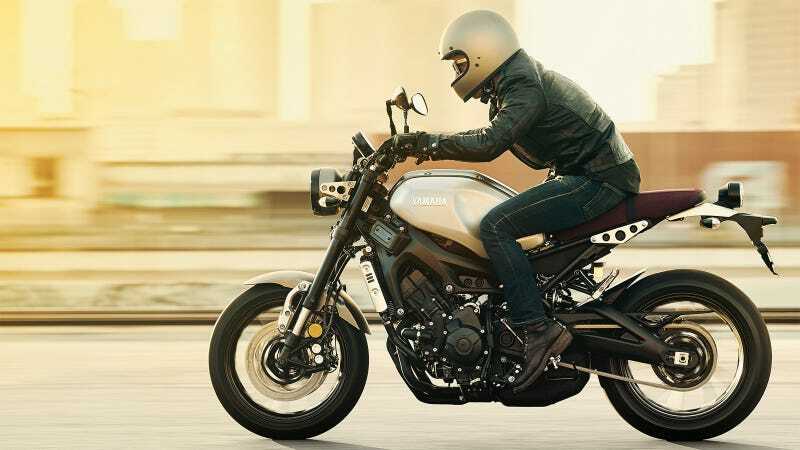 And no, we’re still not getting the XSR700, but their product planning manager asked if I thought they should and listened as I went through my laundry list of reasons why I thought so. In person, I absolutely love the look and feel of this bike. The biggest thing left to see is if Yamaha have smoothed the throttle response and improved the suspension performance. Honestly, and I know this might not seem popular, but I’d be really happy if Yamaha ditched a little HP to perfect the fueling. This isn’t a sportbike and doesn’t need to ride like one. It just needs to be heaps and heaps and heaps of fun - which it very well could be.